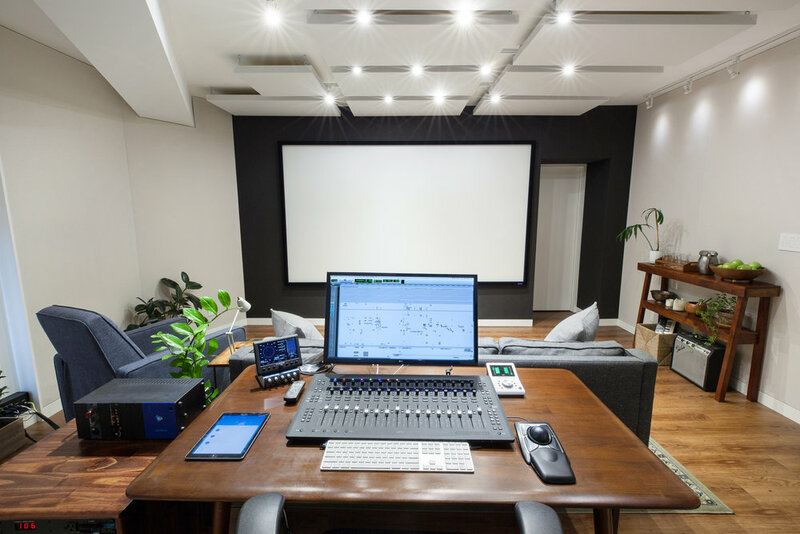 We’re thrilled to have been invited back by our friends at the Soho based Bronx Audio to create yet another post-production room within their facility. 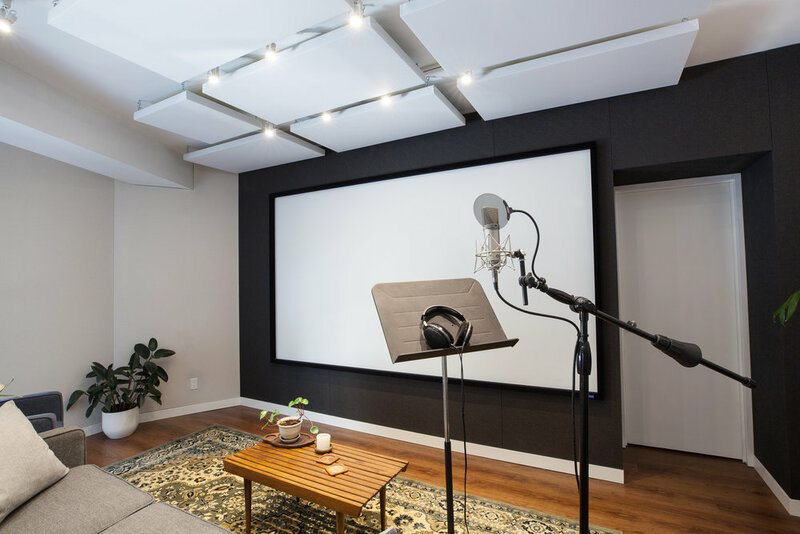 Crossley Acoustics was brought in to help conceive the new Studio One by providing the initial room design, floor plans, and furniture/equipment layouts before seeing the build and treatment portion of the project off to Orchard Design Group. 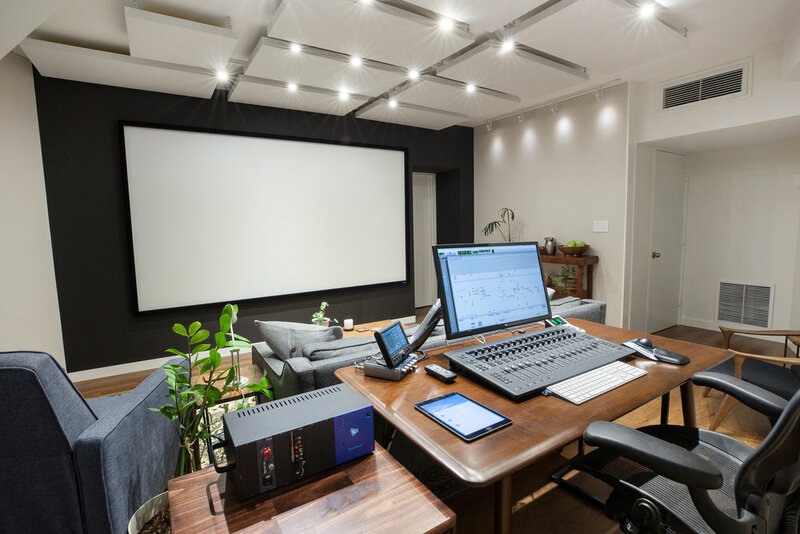 The room is now home to the amazing mix engineer, Eric Hoffman. 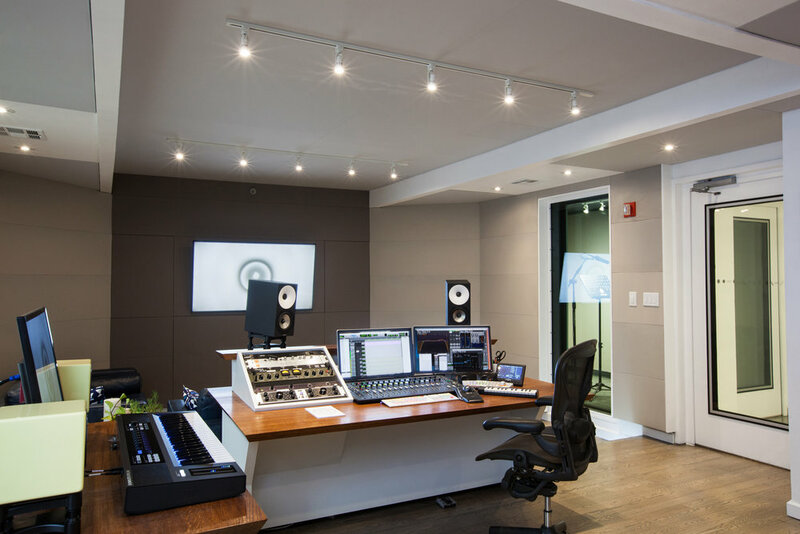 The system design, wiring, and integration was all provided by Crossley Acoustics. 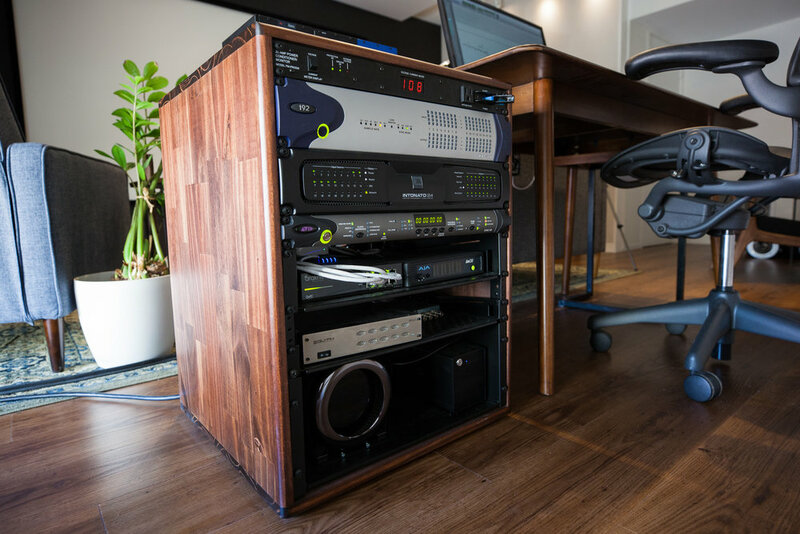 The Mac Pro and AVID HD I/O converters are all located within Bronx’s central rack room. 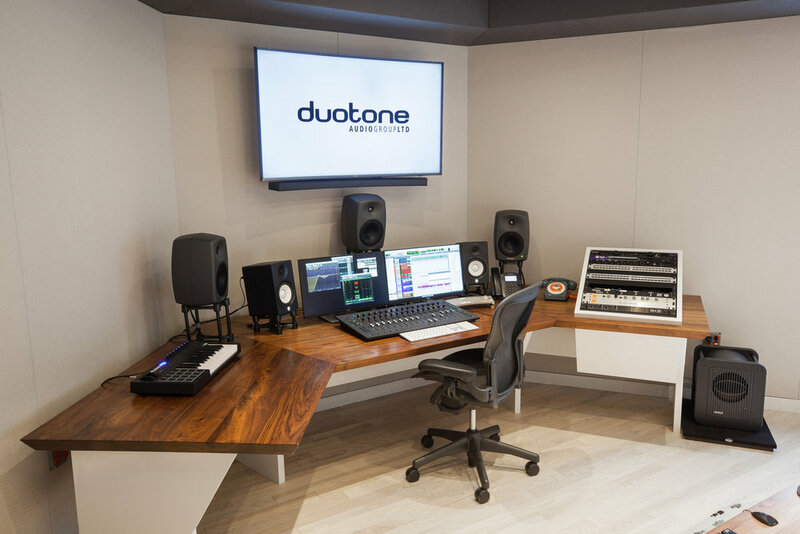 The system features a Genelec GLM 5.1 surround system with mirrored surrounds for the client seating area. 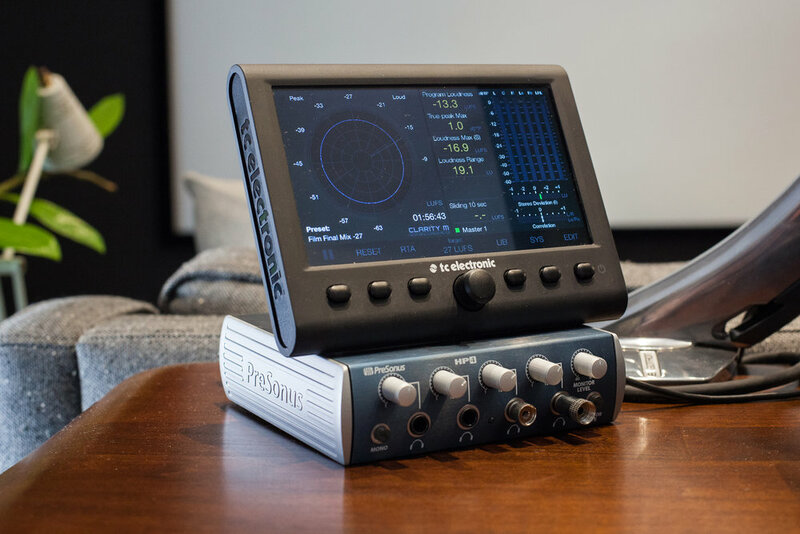 A Dangerous Monitor ST and SR are used to control playback. 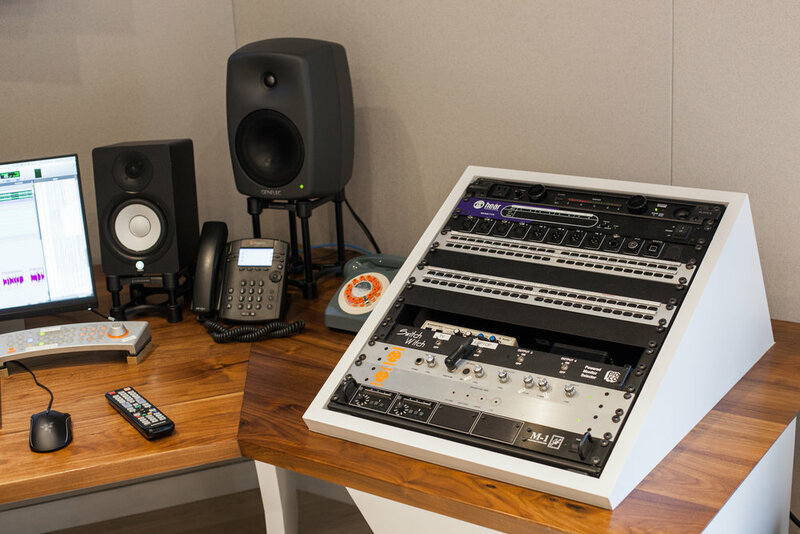 We also added quite a few cool features including wireless and foot controlled talkback, a remote client talkback microphone, the ability to use a laptop as a set of speakers, an HDMI audio embedder for TV audio monitoring, video conferencing in both the booth and control room, and a video game system hookup to the Genelec system. 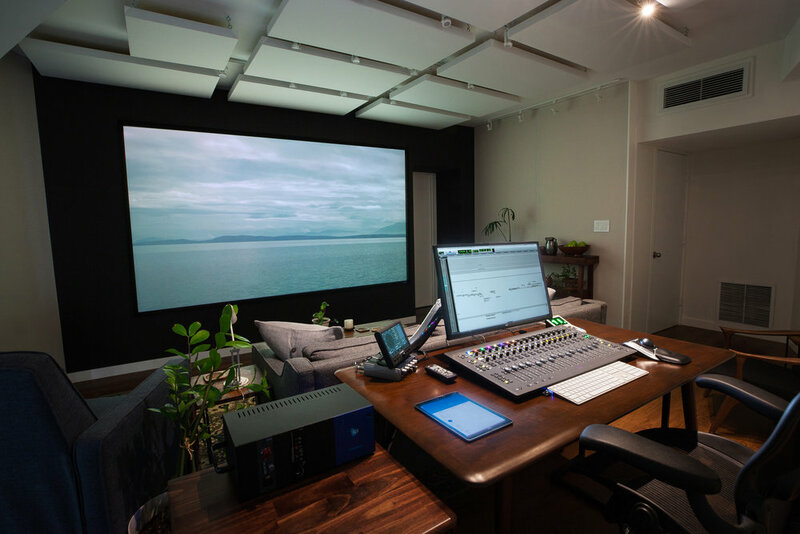 This is a shining example of what a modern, efficient, audio post-production facility can be. 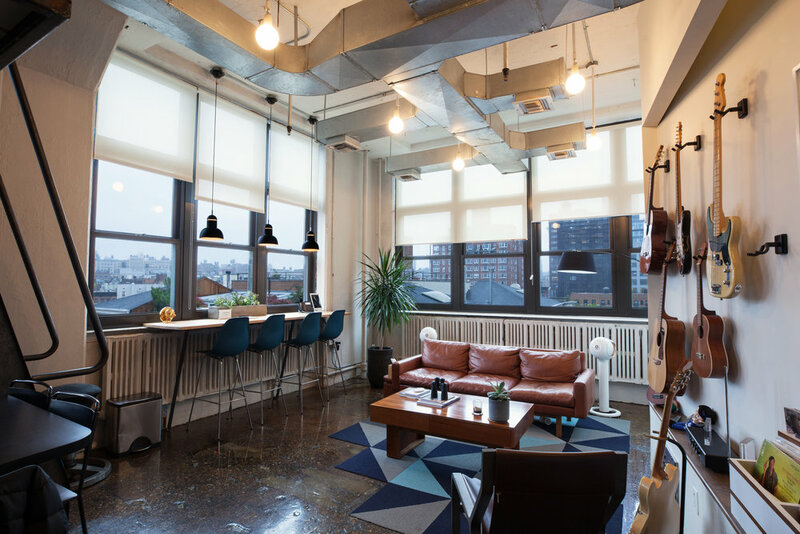 VICE Media recently built their massive new headquarters in the Williamsburg neighborhood of Brooklyn, NY. 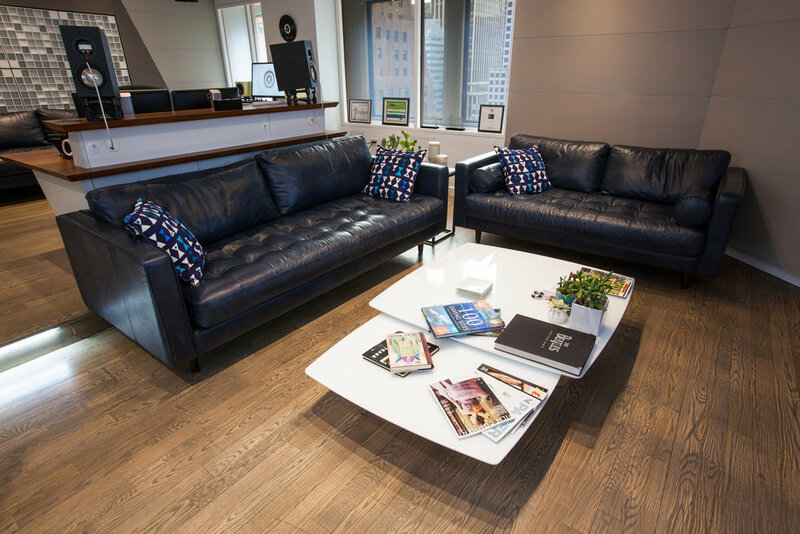 Home to approximately 850 employees it serves as their main corporate hub for international operations. 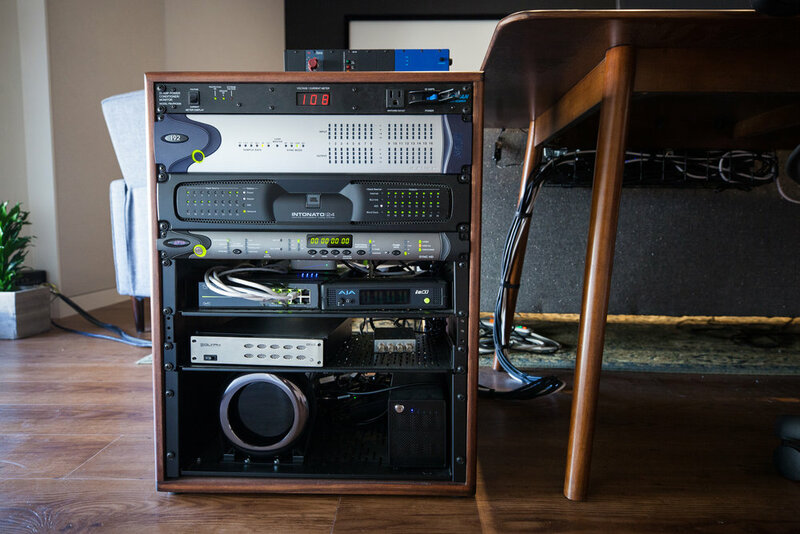 With the recent launch of their new cable TV network, VICELAND, along with their acclaimed HBO series, VICE on HBO, their news network, VICE News, and a slew of original web shows, the space required a suite of audio post production rooms to facilitate the sheer amount of audio content they create in-house. 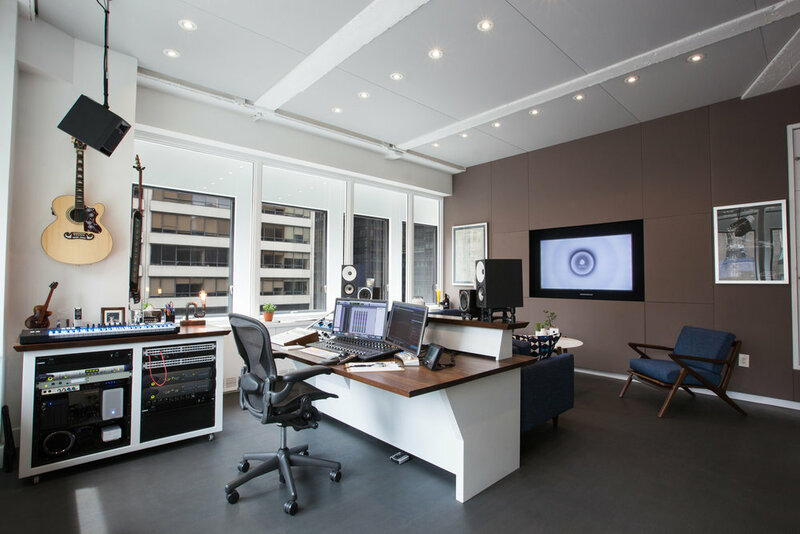 Working in tandem with LA based studio designer and consultant, Chris Owens, Crossley Acoustics designed and treated five audio rooms for VICE Media. 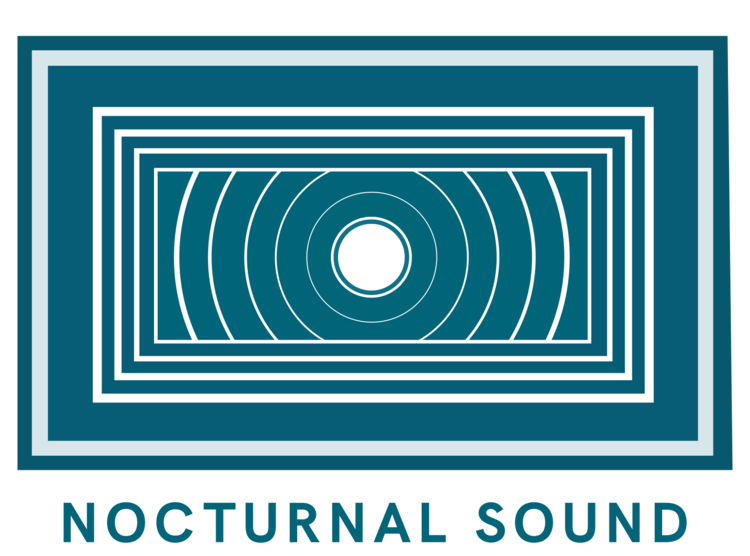 The entire facility is built on independently floated concrete slabs to minimize vibrational transmission from room to room. 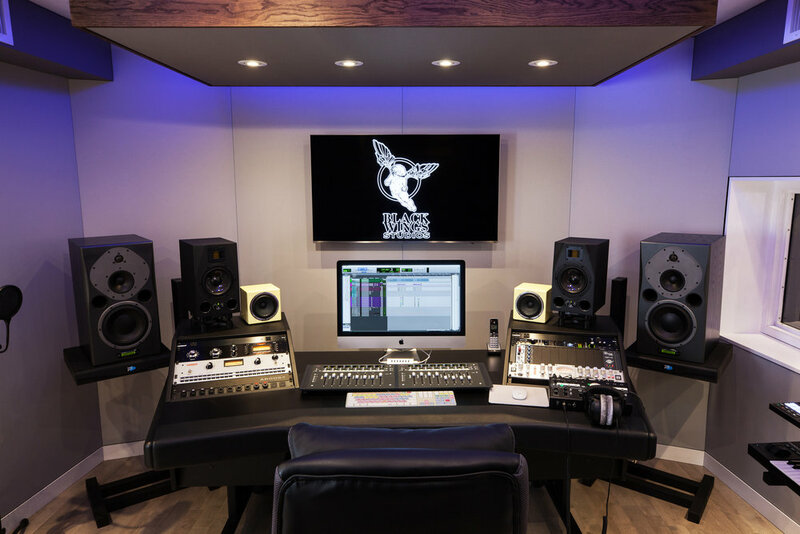 Control Room A is a large 5.1 capable mix room which was outfitted with a brand new Avid S6 modular control surface and Genelec GLM digital loudspeaker system. 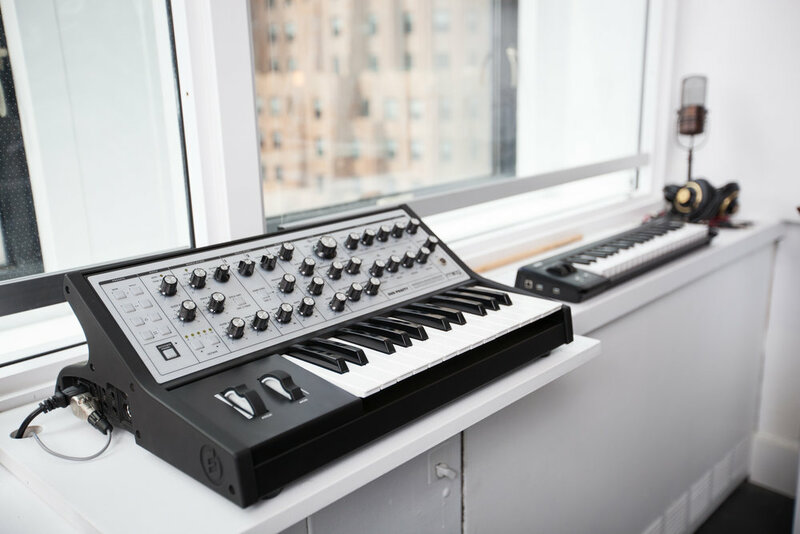 Control Room B is a smaller room which is also 5.1 capable and home to an Avid S3. 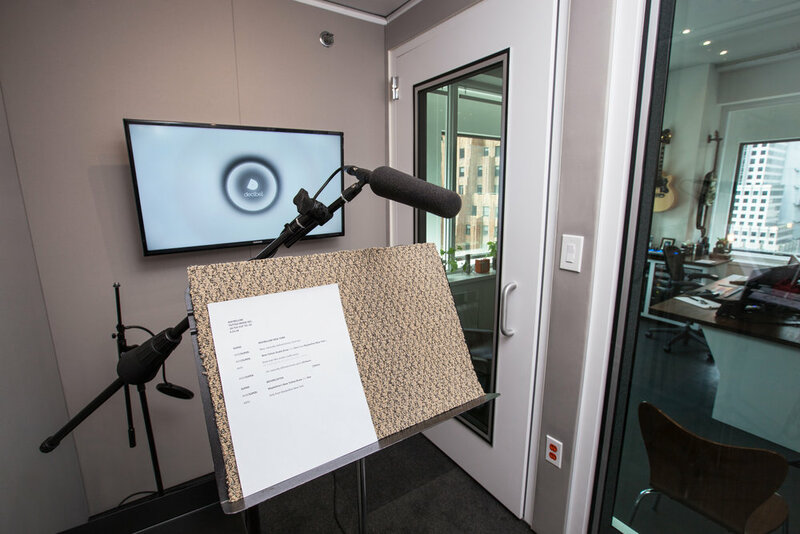 A smaller Control Room C works as an edit suite and runs the majority of voiceover sessions within the facility. 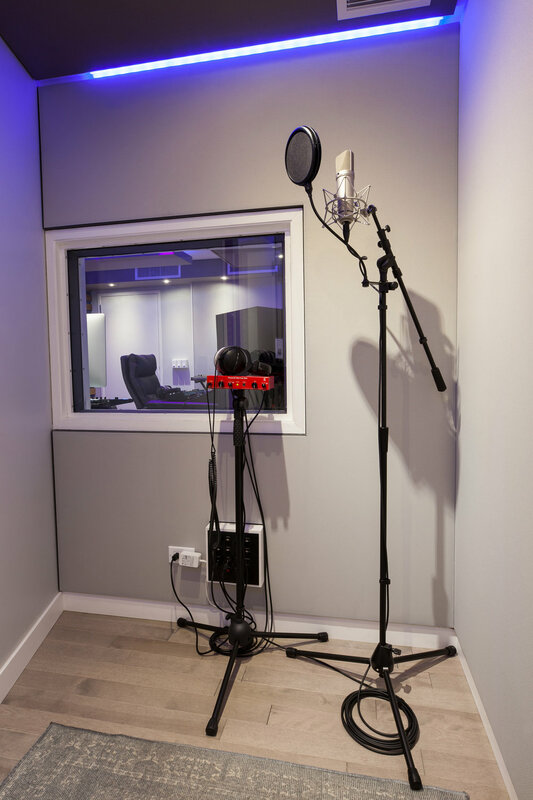 Rounding things out are two comfortable and handsome vocal booths meant to handle anything that comes their way. 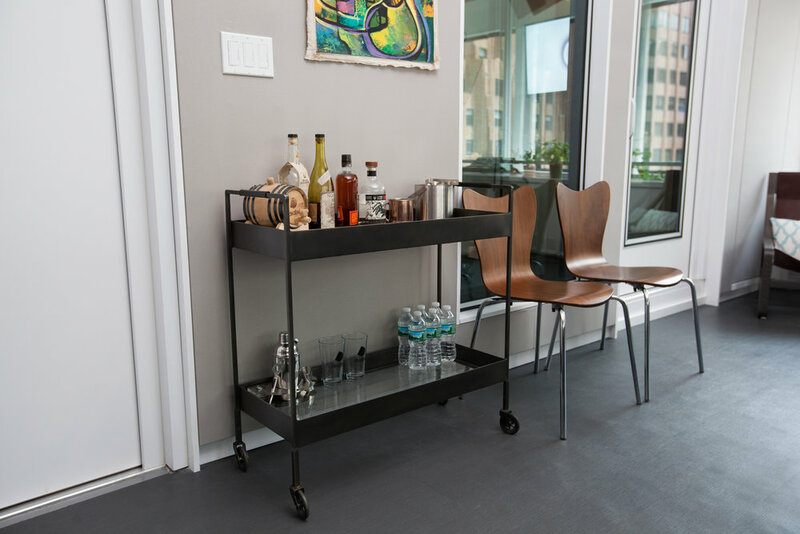 This buildout is one that will surely last VICE for years to come. We’re beyond proud of the contributions we were able to make to their modern, state of the art facility. 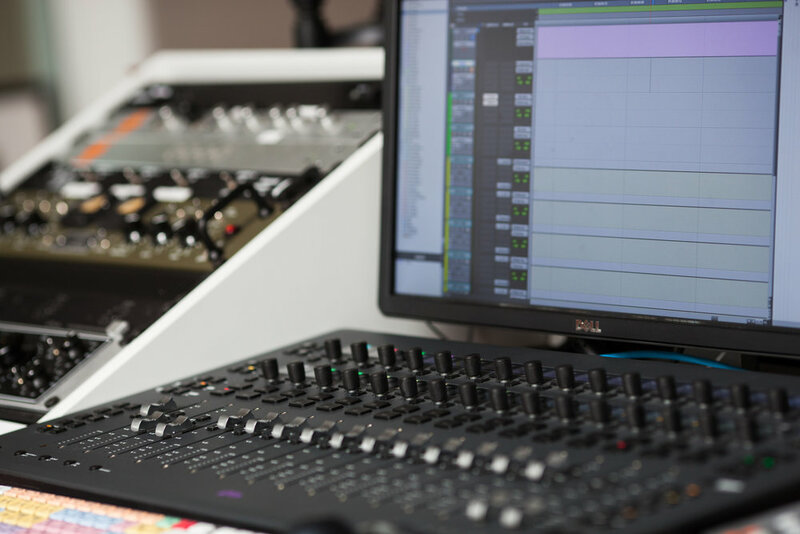 CMD is a post production facility, specializing in voice-over recording. 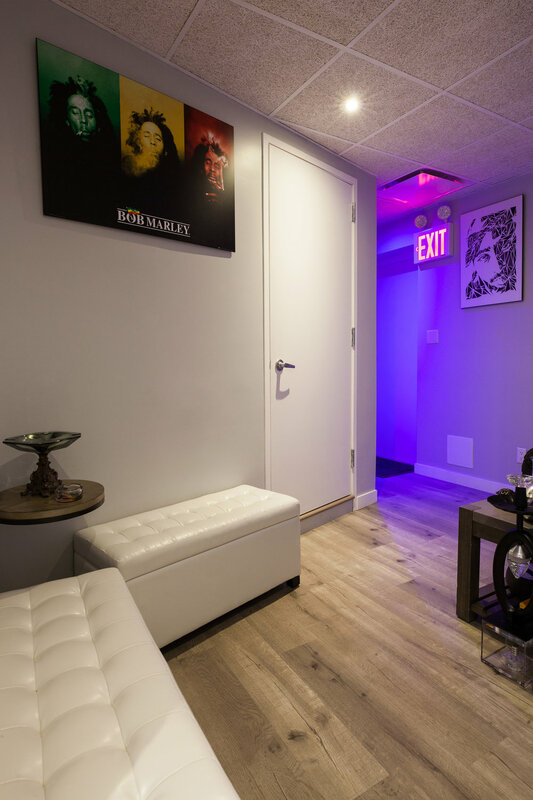 Located just north of the Empire State Building, their new office boasts two mix rooms, two VO booths, two private client offices, a lounge, and a full kitchen, all to help make their clients comfortable and productive. 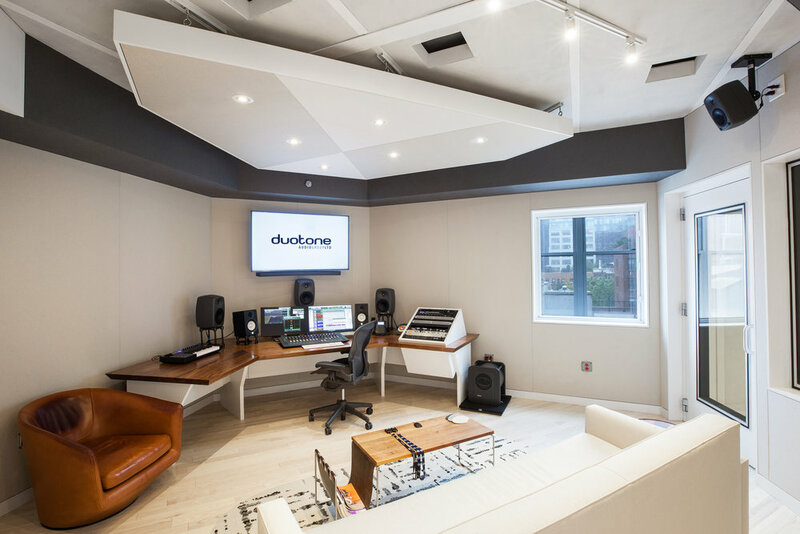 Crossley Acoustics had the pleasure of working with CMD from initial concept through completion. 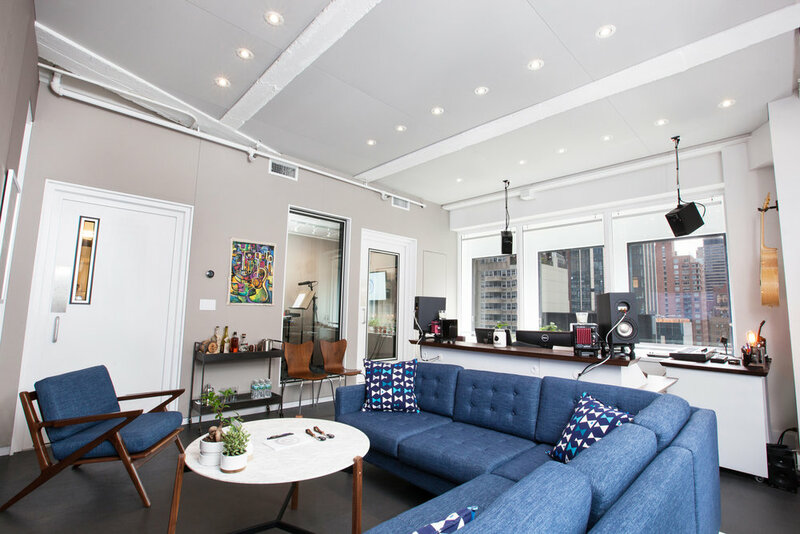 We assisted in picking the right location for their move from Flatiron to Midtown. 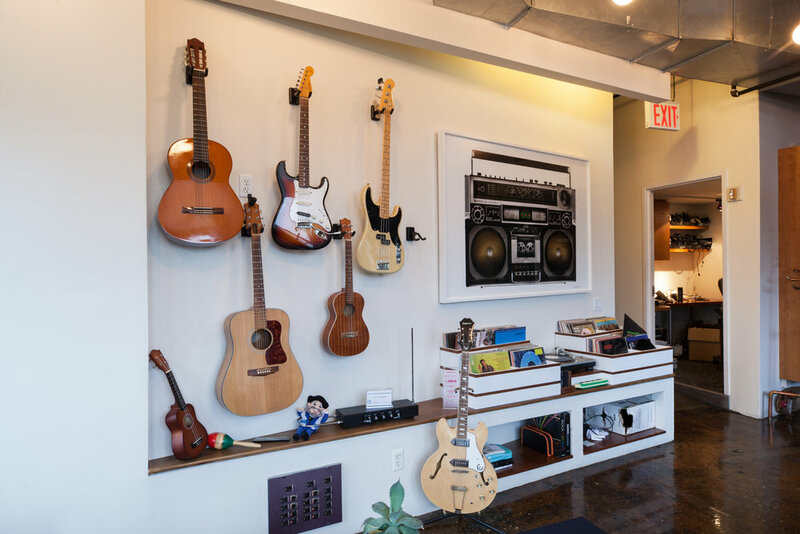 We designed the full facility floor plan, designing their studio rooms, audio-visual system, even their kitchen. We project managed the general construction. 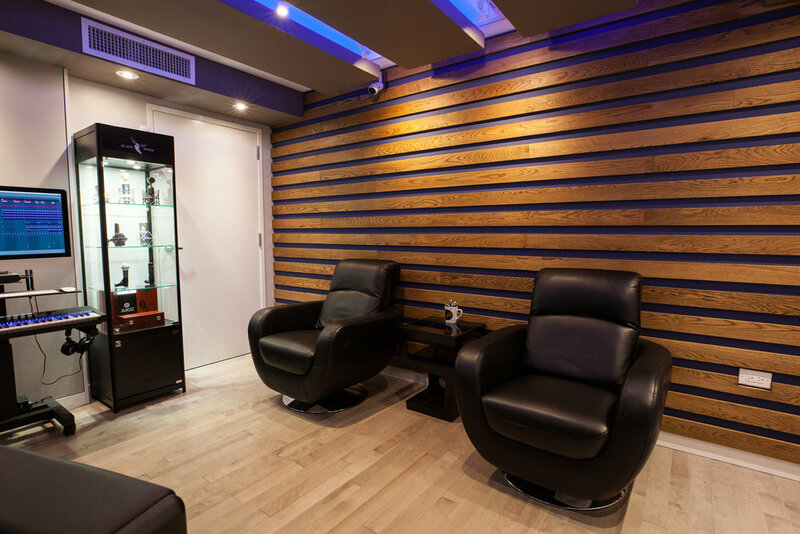 Our team wired the facility for audio, video, and networking, and site fabricated all of the acoustic treatments. 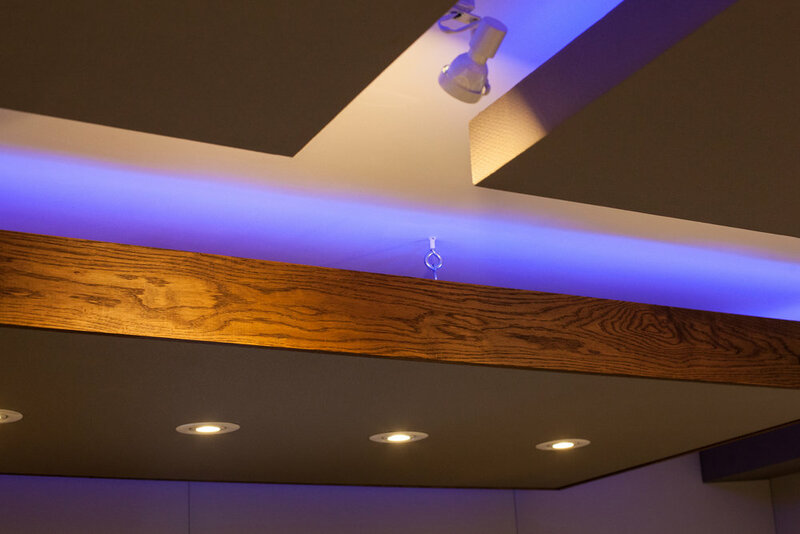 One of the most interesting and rewarding aspects of this project was designing around the skylight in Studio A. 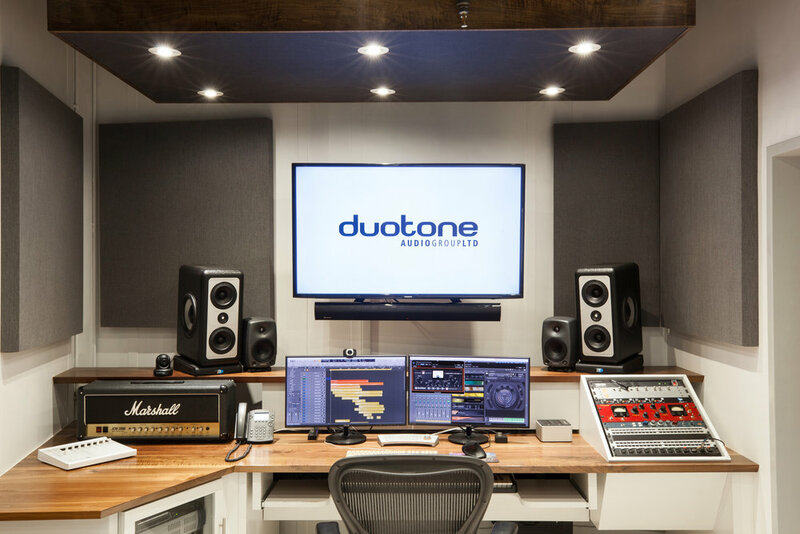 The room had to be designed in a manner where reflections off of the 150 square feet of glass would not interfere with the mix position. Additionally, the large window had to be isolated so environmental noise would not transmit. Although these challenges were great, everyone agreed that the benefits of having such a large source of natural light in the room was worth the effort and would make the client’s space all that much more unique. This large and impressive modern facility will provide a creative environment for CMD for years to come. 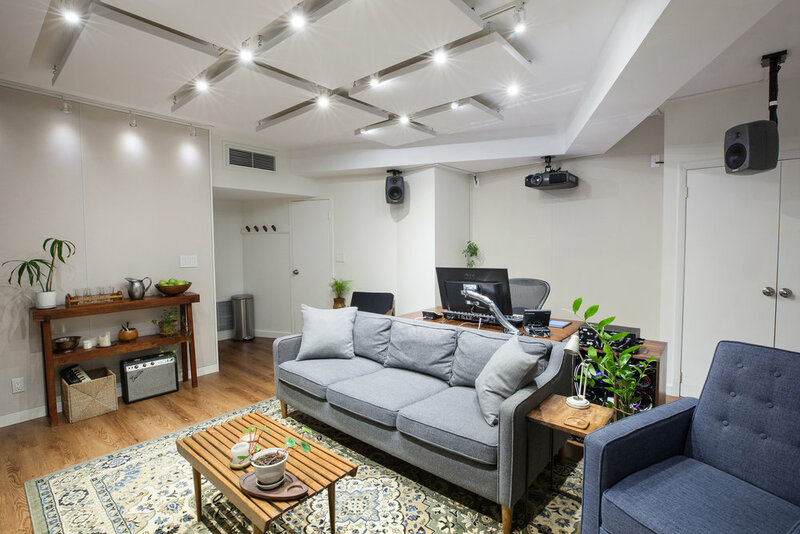 Sheik N Beik’s residential electronic music studio located in an undisclosed location in the heart of Chelsea, New York City is an impressive and immersive den, built for composition and recording. 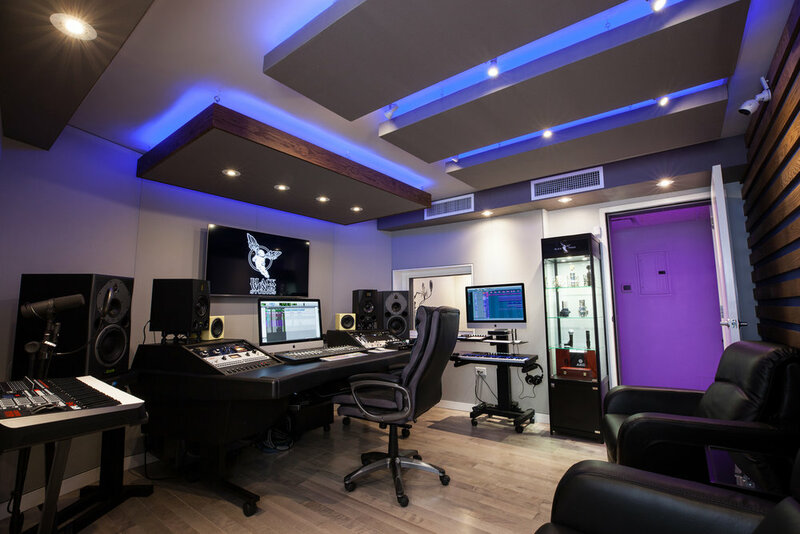 When asked to describe the look and feel they wanted for their studio, Sheik N Beik’s owners emphatically said, “a spaceship!”. In stark white, surrounded by an array of synthesizers and drum machines, and dramatically lit by RGB LED lighting, you feel closer to Mars than Earth as you fly their system through space.